Mobility has long been a problem for the disabled. A wheelchair, whether motorized or standard, allows them to get around, but only for relatively short distances. If longer distances are needed, this concept vehicle would be one cool way to get around – and it eliminates the hassle of a wheelchair lift altogether. 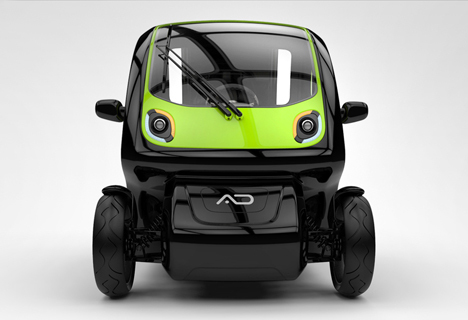 Equal is an electric vehicle created by Croatian design firm Absolute design. 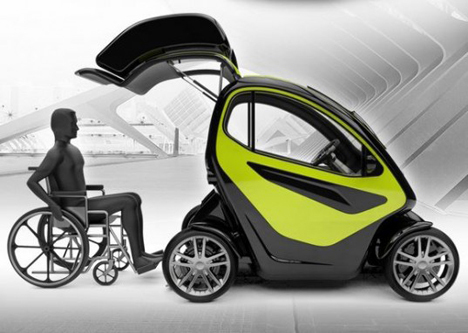 Its a concept that would use one large rear hatch that opens wide enough for a person using a wheelchair to move straight into it, sans assistance. Standard features would include a steering wheel that is adjustable and easier to use because of an attached spinner knob, and the Autoadapt Carospeed Menox, a smart hand control device used to accelerate or brake. The main technical idea behind Equal is best described by founders Vedran Martinek and Dario Dropucic. “Because of…the use of electric hub motors in the back wheels, there is no need for any mechanical linkage between the wheels. That allowed us to make a clear path for the disabled person to simply and independently enter his/her car without ever exiting the wheelchair,” they explain on their Idiegogo campaign site. It’s an impressive, feasible concept that could give near-total independence someone with a disability.